Please leave a Comment or discuss via Trackback! 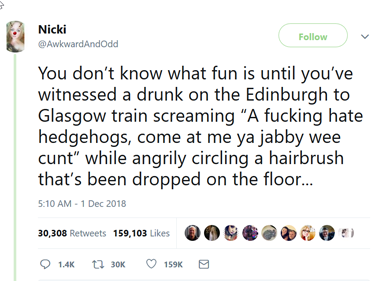 One Feedback on "On a Scottish Train"
I’d pay to see that. From a distance. Please notify me in case of further comments! Please note: Comments may be moderated. It may take a while for them to show on the page.